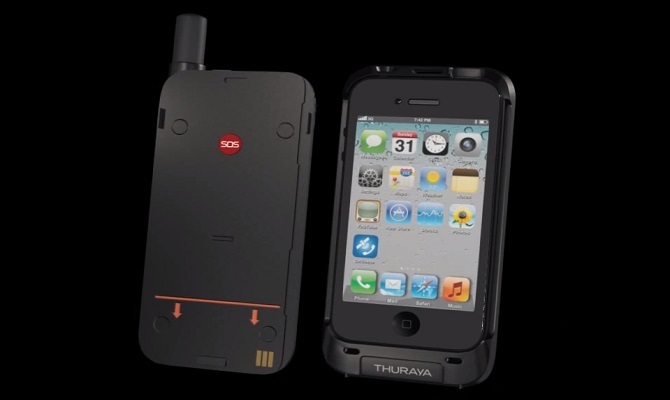 Thuraya SatSleeve is the world’s first satellite adaptor for the iPhone, providing users with easy and affordable access to mobile communication services delivered over Thuraya’s powerful satellite network. Insert your iPhone into the SatSleeve to stay connected through phone calls and SMS via satellite mode — and put the entire world within reach. With Thuraya SatSleeve, you can add a reliable satellite connection wherever you go, enabling you to stay connected with the device you are most familiar with. 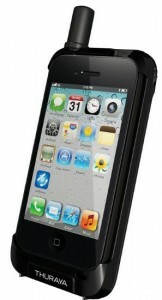 The SatSleeve app can be downloaded from the Apple App store. Simply insert your iPhone for full walk-and-talk capability in satellite mode. Available in 12 different languages, the SatSleeve app allows you to easily integrate your iPhone contacts when making satellite calls and SMS. Acting as a backup battery for the iPhone, Thuraya SatSleeve enables you to operate for longer periods of time without worrying about power running out. 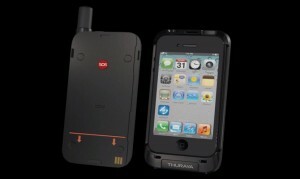 Thuraya SatSleeve comes with a dedicated Emergency Call button for users to make a voice call to a predefined number during emergency situations, even without the iPhone docked. Thuraya’s robust and extensive satellite network covers more than 140 countries and two-thirds of the globe. And with the Hhigh Ppenetration Aalerting (HPA) capability, Thuraya SatSleeve enables you to receive calls even if the satellite antenna is retracted.